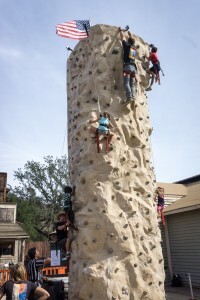 The 2015 Rec Fest was held at Paramount Ranch in the Santa Monica Mountains on October 24, 2015. The 2014 event was such a success we were delighted to hear that the event would be repeated again this year, thanks to grants and donations from the SAMOfund, Coke and others. 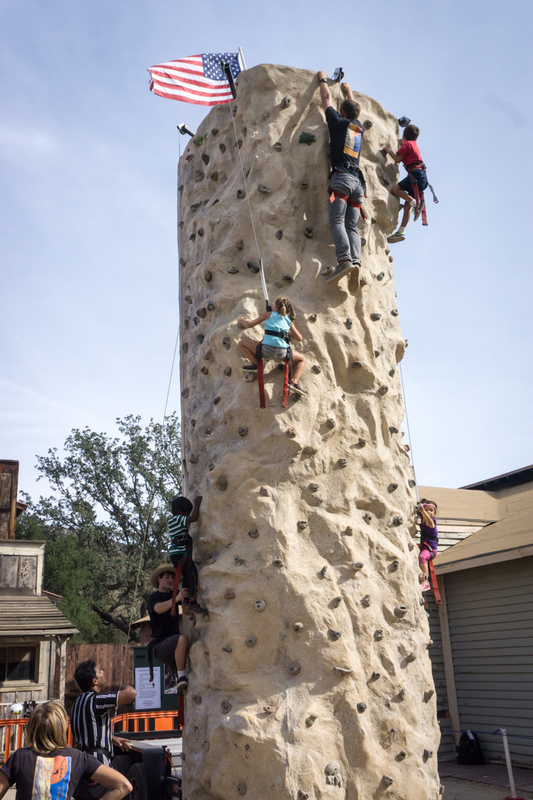 The Rec Fest is all about opening the doors to the many forms of recreation available in our local mountains to people who may not know what’s possible. Visitors to the event were able to try their hand at casting a fishing line, riding a covered wagon, pitching a tent, riding a horse, rock climbing, or doing a nature hike. The local audobon society chapter was there to tell kids – and show them – some of the abundant birdlife found in our mountains. An astronomy club was there to show them what there is to be discovered in our skies (they pointed at the moon, visible during the day). At noon was a one-mile fun run on the trails, where each participant received a medal for finishing. There were plenty of interpretive stations along a nature hike, and craft and hobby activies. Lance, Larry, Dan, Joyce, Dave and Regina, and Walk & Rollers’ Jim Shanman, more than 160 kids, and some of their anxious parents, were able to try mountain biking through CORBA’s Youth Adventures program. 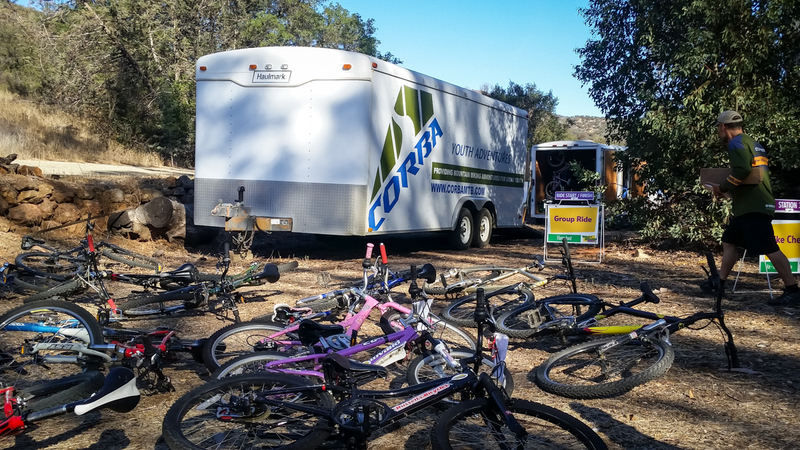 CORBA’s Youth Adventures program takes out at-risk youth from areas all over Los Angeles County for a half-day mountain bike ride in Malibu Creek State Park, Paramount Ranch, and other locations. About twice a month, ten to fifteen students, some of whom have never visited a State Park or any form of mountains, are taken out for an interpretive mountain bike ride. The program is run on behalf of CORBA by the Mountain Bike Unit. They’re the great volunteers we see patrolling the Santa Monica Mountains in their signature yellow jerseys. CORBA is truly grateful to have the Youth Adventures programs administered by MBU volunteers, and today’s event was no exception. Walk & Rollers also brought tot’s balance bikes and smaller bikes with training wheels for the younger set. Throughout the day we had parents putting their kids on tot bikes. It’s always a blessing to see the kids’ eyes light up when they roll down the wooden ramp we had set up, and remind us of why we all ride bikes. One of the truly great aspects of the event are the attendees. Families are bused in to the event from park-poor communities such as East Los Angeles, South Central Los Angeles and other underprivileged areas. It’s sad to see how many of these kids had never been to a park, never ridden a bicycle, or have never really discovered the outdoors. But at the same time that sadness is reversed as this new world of opportunity is opened up to them. They come back from the mountain bike ride breathing hard, but with an ear-to-ear grin. With a fleet of about 35 bikes in operation, plus ten or so smaller bikes from Walk & Rollers, we still ran out of bikes (and guides) three or four times during the day’s festivities. That puts our estimate over 160 people who rode a mountain bike, most for the first time. 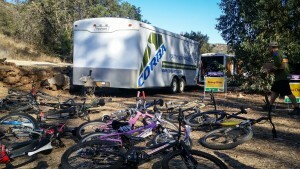 CORBA’s Youth Adventures is a great place to retire your old bikes. We’re gratefully accept tax-deductible donations of complete bikes or bike parts. 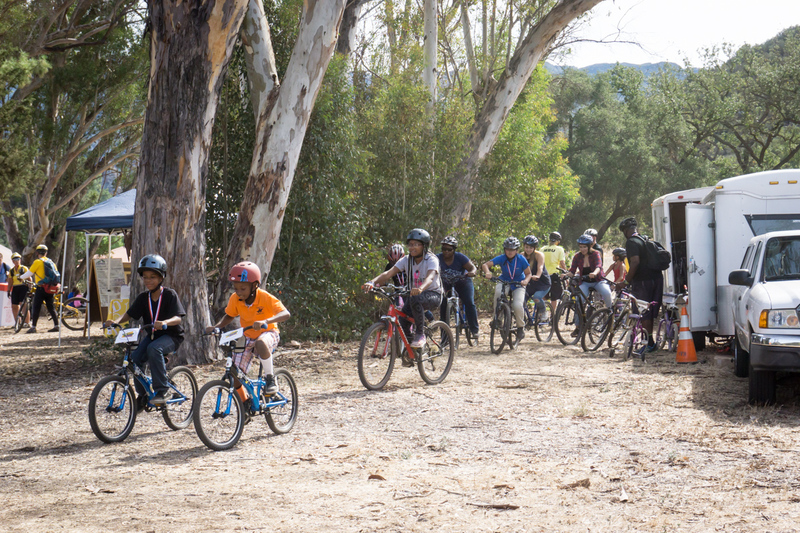 Youth Adventures depends on volunteers and donations to continue giving underprivileged kids a chance to experience the joys of riding a bike in the great outdoors. If you’d like to make a donation please contact us. Thanks to the National Park Service for having the foresight to organize this special event, and to the many docents, volunteers and staff who help make it happen. By all measures, the event was a great success and we look forward to it becoming an annual event.